Gender diversity is a crucial quest for the future and imperative to take seriously should we build and develop successful and sustainable companies as well as societies. For many Swedish companies, principles of diversity are at the core of the value system. Strategies, challenges and practical implementation differ depending on culture and context. In some way, Sweden and India seem to exist on different ends of a scale; homogeneity compared with variety, gender equality versus disparity, individualism against community and secularism contrasting with spiritualism. The reality is a multicultural environment that can be a field of tension but also the soil in which creative solutions are birthed, mindsets are opened to be challenged and transformed and ways of working reengineered. 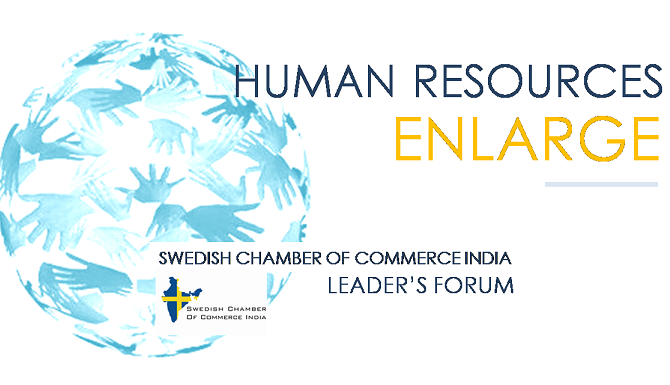 The Swedish Chamber of Commerce India invites all member companies to be part of a collaborative work on GENDER DIVERSITY, spearheaded through the HR Leader’s Forum where we will examine both context (laws, policies, current affairs, gender in society and business etc) and content (mindset and behavior, leadership, team work, value system penetration etc. ), debate and discuss. Beyond impact in our own organisation, we seek to crossbreed between and also reach into universities, media, business partners and policy makers. We kick-start with inspiration from IKEA and Ericsson, two leading Swedish companies in India that are setting trends and developing the future landscape of how we communicate, interact, live, move and function. With cutting-edge HR practices and philosophies, Ericsson was recently named Top 3 employer in Telecom in India and IKEA has for long been known for their belief in untraditional career ways; “if you grow- IKEA grows” being their baseline. Bringing the two dynamic Heads of HR from these companies together is bound to be an interesting conversation on gender diversity in practice. Sunita Raut, IKEA and Sameer Khanna, Ericsson will also lead us into the discussion on how we as a business community can take Gender Diversity through collaboration into new dimensions.